France will have its first far-right government within the next decade. That’s the opinion of 60 percent of respondents to a survey that also identified a deep gloom among the French population. A study of attitudes of six European nations shows France has high levels of pessimism compared to their counterparts, especially when it comes to the future of the European Union. 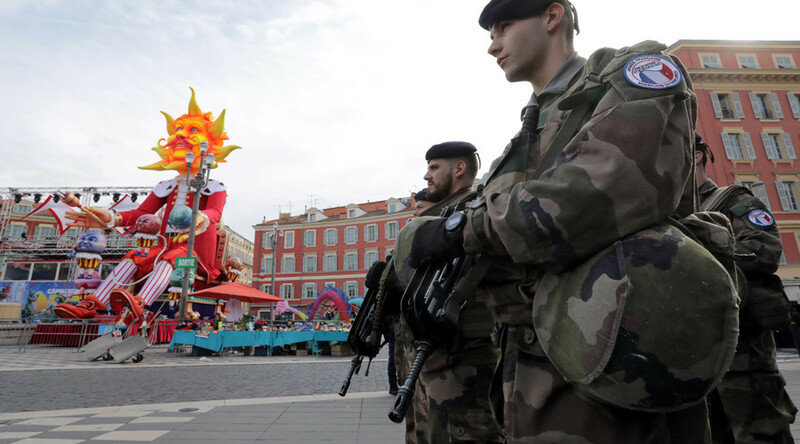 With a state of emergency still in place in France following a spate of terrorist attacks in the last two years, 80 percent of those surveyed thought the country would be hit by yet another terrorist attack over the next six months. The survey of more than 8,000 people predicted the state of the nation would decline over the next year. Some 53 percent of French people are worried about globalization and suspicious of political institutions. A third of respondents anticipated that their personal fortunes would take a dip over the same period, according to the study from Viavoice and British think-tank Demos. The survey’s sampled countries comprised Britain, France, Germany, Poland, Sweden and Spain. Some 70 percent were convinced of a forthcoming financial crisis, while 71 percent indicated low levels of trust in the government. While the French were the most miserable and pessimistic, the Spaniards came out as the most positive of those surveyed, despite a continually challenging economic situation which saw Spain apply for a €100 million bailout from the European Stability Mechanism in 2012. The crisis has hit those under the age of 25 particularly hard, almost 43 percent of whom are still unable to find work. The British were the most eurosceptic nation polled after the country voted to leave the European Union last summer.